It is said that diplomacy is the art of saying “Nice doggy” while reaching for a rock. However, for those like Boris Yeltsin, former Russian President, it is hard to reach for anything when you’re already stoned. Even before he became President in 1991, Yeltsin had already shown signs of being a problem. In 1989, he had ended up at a police post outside Moscow dripping wet and wearing only his underwear. He claimed he had been attacked, his head covered in a sack and dumped off a bridge into a river. Top communists said he had been drunk while on his way to a tryst with a lover. In 1992, Yeltsin was invited to Kyrgyzstan for a meeting with President Askar Akayev. He became very drunk and then indulged himself in the ancient Russian pastime of “playing the spoons” or using brightly decorated wooden spoons to make music. However, he chose to do it on President Akayev’s head. In 1994, Yeltsin attended a ceremony marking the departure of the last Russian troops from Germany. At an official champagne lunch, when the band struck up a Russian song, Yeltsin seized the baton from the band-leader and insisted on doing the conducting himself. He later grabbed the microphone and started singing. In 1995 he was found wandering in his underwear in Washington D.C. supposedly trying to get a cab to take him to a pizza joint. In Sweden at a conference on nuclear weapons in 1997, Yeltsin started by saying how Swedish meatballs reminded him of tennis star Bjorn Borg’s face. He followed this by revealing that Germany and Japan had nuclear weapons, that he was now in Finland, and that Russia was to cut its nuclear stockpile by one-third. Now, Yeltsin’s most recent successor, Vladimir Putin, who does not drink but is known for his rugged good looks and macho image, has created what has become a major diplomatic incident involving the Chinese First Lady, former folk-singer, Peng Liyuan. 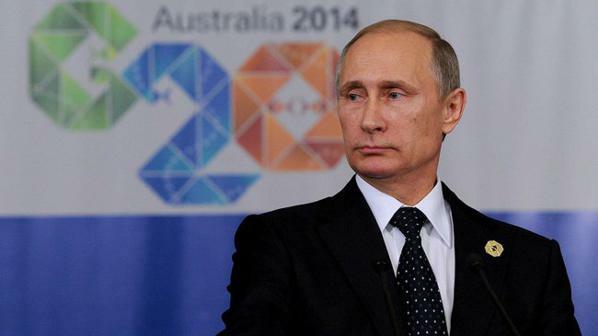 The Sydney Morning Herald announced that Putin “cracks on to” the first lady. Slate Magazine reports that he “flirts with” Peng, while Foreign Policy went with “hits on.” What happened? The BBC said it was a “solicitous” act. However, it seems that Putin came off looking better than President Xi Jingping. Then the jokes started about the real intentions of the Russian President. The incident became quickly known as “Coatgate” and people remembered that Putin had made the same gallant gesture with German Chancellor, Angela Merkel. Chinese state media took it off the internet immediately. Merkel seems to be a gaffe magnet. President George Bush fared no better when in 2006 he tried to give Chancellor Merkel a shoulder rub and ended up rubbing her and the entire German nation the wrong way. The New York Times described the incident as “The neck rub heard around the world.” George W. was just following in his father’s footsteps. The old man had grabbed global attention by vomiting on the Japanese Prime Minister at a State dinner. President Bush blamed the eels that were the main course, maybe because they proved to be slipperier than he was. Also heard around the world was the translation in Polish of statements made by Jimmy Carter on a state visit to Poland. According to media reports, Carter gave a speech to express his aim to learn the Poles’ “desires for the future.” His interpreter, Steven Seymour, however, translated that phrase to a baffled Polish audience as “I desire the Poles carnally.” Seymour also mistranslated Carter’s words about his departure from the US into a phrase that meant that the President had abandoned his country for good. Seymour even turned Carter’s praise for the Polish constitution into words calling it an object of ridicule. Carter changed his interpreter but not his luck. He only lasted one term.